You can read the full story on the Fremont Tribune site. And if you’re looking for a bit more detailed introduction to low FODMAP diets and how to get started, don’t forget to take a look at our popular “15 Minutes Low FODMAP Jump Start Guide”. Another great recipe in our LowFODMAPs cookbook is the Butternut Squash with Spiced Pork. This recipe is an easy one pan dish that you can make even easier by using pre-cut fresh or frozen squash. The subtle sweetness of the squash really compliments the flavors of the spices cooked into the pork. A variation of this LowFODMAP recipe would be to use a whole pork tenderloin rubbed with the spices and cook on the grill. The squash could be cooked the same or roasted in the oven. If you like this recipe, please help support the LowFODMAPsDiet.com community by making a $5 donation for our full cookbook: 25 Low FODMAP Recipes. You can download it below. Thanks, and good luck eating the Low FODMAP way! Well, the wait is over! We’ve had Registered Dietitian Courtney Kruse develop 25 low FODMAP diet recipes that you and your entire family will enjoy. In this eBook you will find a full week’s worth of breakfast, lunch, and dinner recipes that are written to help the beginner learn how to start cooking meals the Low FODMAP way! You can download the full eBook “25 Low FODMAPs Recipes” below. You can read more directly on the journal’s site, found here. With all of the information about Irritable Bowel Syndrome treatments and diet plans floating around out there, sorting through the data can pose a challenge. If you or someone you care about is among the one-in-six people who experience Irritable Bowel Syndrome, you may have heard about an effective new eating plan known as the Low FODMAPs diet. This quick guide will help you demystify this promising new approach and get started on the low FODMAPs path. Please leave us a comment below if you find this guide helpful! P.S. After reading the getting started guide, please check out our new Low FODMAPs Diet Cookbook if you really like to cook. This 56 page recipe collection will take you to the next level of success with the low FODMAP way of eating by providing you with 25 new recipes for you and your family! Registered Dietitian Tamara Duker Freuman has a very concise summary of FODMAPs and their relationship with Irritable Bowel Syndrome (IBS). One of the good points made in the article is that the impact of FODMAPs is affected by the cumulative amount consumed. So if you can a small amount of either onions or artichokes, you may run into IBS trouble if both foods are combined in the same meal. Please click here to read this great FODMAPs overview. HealingWell.com has a nice low FODMAPs recipe for those of you craving some sweets! You can see the full low FODMAP brownie recipe here. A new low FODMAP interview on YouTube discusses the principles of FODMAPs and how they can impact Irritable Bowel Syndrome. 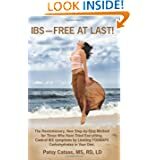 The interview, titled “Low-FODMAP Diet May Relieve IBS Symptoms” can be seen below.